"How big are they? What are they like?" Canaan Dogs are medium size (30 to 50 lbs.) dogs who are generally described as aloof, manipulative and alarm barkers. Young dogs can have higher energy needs than older dogs but most are pretty relaxed and cat-like in the house. Even though they energy conserve at home, they can also be active if asked to be such as on a hike. "Do Canaan Dogs make good pets?" Yes! Canaan Dogs can make great pets to the right owner. Canaan Dogs are healthy, low maintence watch dogs that have a great sense of humor and are quite bright. They make great family companions. "What are the challenges of Canaan Dogs?" Canaan Dogs are very smart, so much so that they can become bored with lots of routine. They enjoy mental stimulation and usually enjoy taking classes, such as agility, with their owners. It is very important to socialize a young Canaan Dog with a variety of new stimuli so they mature into even-tempered adults. More primitive individuals can be challenging to owners when they are asked to accept a new person or circumstance. Adolescent Canaan Dogs can be challenging, well, period. They like to challenge the rules and see what they can get away with! Adopting an older Canaan Dog can be challenging in its own right. Since Canaan Dogs develop a deep trusting bond, a dog who needs a new home must learn to trust someone new. This can be a hard transition for some dogs and requires a patient, understanding owner. "Where can I learn more about Canaan Dogs?" Please visit our links pages for additional resources. "I adopted a puppy from a local shelter and on her paperwork it stated she was a Canaan Dog. Reading about the breed fit her looks and behavior to a tee! I would just like to know if she is in fact a Canaan or not. Could you please look at the pictures I have attached and tell me based on your experience if she is a Canaan dog?" Most breeders also stay in touch with puppy buyers at least once per year and all responsible breeders (a majority of the few breeding Canaan Dogs) require that dogs be returned to them if they cannot be kept by the home they are placed in. The chance an unidentified Canaan Dog is lost, picked up by animal control, and not claimed is quite small. It is even less likely that a puppy finds its way to a shelter. On the rare occasion, an owner will turn-in a purebred Canaan Dog to a shelter. In these cases, the dog is positively identified as a Canaan Dog by the owner who knows its origin. 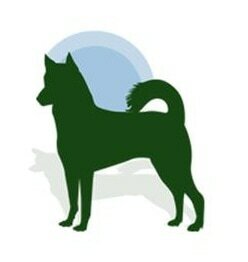 The Canaan Dog Rescue Network is nationally known and respected and most owners turn directly to CDRN, usually in collaboration with their breeder, for assistance in placing their dog. It is very common for shelter workers to mis-identify mixed breed dogs as Canaan Dogs. "But my dog, really looks like a Canaan Dog. I saw a picture on your website and it looked exactly like my dog!" The Canaan Dog has had limited human influence and is a “natural dog”. It takes few generations of interbreeding before every canine family tree - from Great Dane to Papillon - will revert back to a basic physical canine type. This means the offspring will often be mid-size, have pricked ears and a tail carried over their back. These traits appear in all feral or semi-wild dog populations around the world, including the Australian Dingo and the Carolina Dog of the U.S. These common physical characteristics are often the reason so many mixed breeds are mistaken for a Canaan Dog. Because the breed is so small, devoted fanciers can usually identify the lineage from which a particular Canaan Dog came from based on looks alone, but it takes a very discriminating eye. CDRN representatives and most breeders are familiar enough with the WORLDWIDE Canaan Dog population to easily and with great certainty confirm that a dog is NOT a Canaan Dog based on photos. In the very few cases that an unknown dog strongly resembles a Canaan Dog according to several breed experts, then further information is required. In these few cases, it is virtually impossible to identify a Canaan Dog from a convincing mixed breed based on physical traits alone. Identifying a Canaan Dog like this must be a well-rounded investigation into the dog's behavior, any permanent identification (microchip), location, age, circumstances surrounding his arrival at the shelter, as well as his physical attributes. "So there is a chance then that my dog is a Canaan Dog. I have a book on dog breeds and my dog behaves just like one." Well, again we have to consider the situation of a shelter dog vs. a normal Canaan Dog. A typical Canaan Dog is aloof with strangers, maybe startles easily at novel things, is tremendously devoted to people he trusts, and is territorial. These things can also be true of any dog with an inconsistent past or less than optimal socialization. Canaan Dogs cannot be identified based solely on behavior and there is no one definitive characteristic to look for. Some well socialized Canaan Dogs who have a strong bond with their owner make fast friends with new people and are quite confident. Many Canaan Dogs try to keep a low profile in new situations, as most dogs would if they felt insecure. Canaan Dog temperaments fall into a wide spectrum of possibilities. I would not expect an adult Canaan Dog that ended up in a shelter to come bounding out, lick your face and fetch a ball or go for a swim. These things would point to "not a Canaan Dog", otherwise, behavior is just another peice to consider in the big puzzle. "Ok, so you don't think my dog is a purebred Canaan Dog. But he could be a mix, right?" Anything is possible, though it is highly unlikely. The Canaan Dog breeding community is small and tight-knit. Most breeders place puppies with spay/neuter contract or maintain co-ownership arrangements. So mixes are highly unlikely, but accidents have happened. One of the bonuses of being a small breed, is that the community is made aware of these mismatched matings. Thankfully, the breeders keep us in the loop when this situation occurs. We are aware of a handful of accidental mix breedings and we do take those litters into account when evaluating a dog. "Will you help a dog that looks and acts like a Canaan Dog?" Unfortunately we cannot commit resources to helping all the dogs that resemble Canaan Dogs. As we said, Canaan Dogs are a rare breed, which translates into a small community of breed fanciers, which further means that there is a very small group of volunteers working to help Canaan Dogs in need of new homes. Therefore we must limit our scope of assistance to dogs that we know have Canaan Dogs in their heritage. We know this may be disappointing to people who believe they have a Canaan Dog, but its the best we can do. On the positive side this means that anyone looking for a Canaan Dog to adopt can be 100% certain the dog they receive through CDRN is a Canaan Dog. "You keep saying the breed is rare and there is a small group of people involved with them. How rare are they?" There are approximately 500-600 (total!) alive in the U.S. And the number contributing to the gene pool is much much lower, with the majority of those living with responsible breeders. 870,192 dogs were registered. 70 were Canaan Dogs.